Stocks went on a wild ride Friday, but still finished the week higher. The S&P 500 hit a record high right out of the gate. The rally faded almost immediately. The index bounced around for most of the day before ending lower. 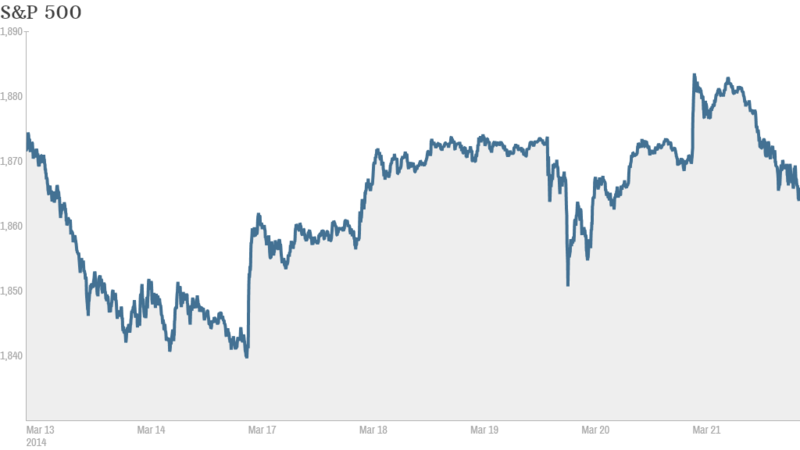 The Dow Jones industrial average also closed in the red, erasing a gain of more than 100 points from earlier in the day. The Nasdaq was the hardest hit, falling more than 1%. The choppy trading came amid the simultaneous expiration of four types of futures and options contracts -- a quarterly phenomenon known as quadruple witching. "That's the main driver of the day," said Peter Cardillo, chief market economist at Rockwell Global Capital. He noted that the only other major market news was that 29 of the 30 big banks passed the Federal Reserve's stress test. Regional bank Zions (ZION) was the only one that did not and its shares fell nearly 5%. Despite Friday's turbulence, the major indexes all enjoyed a strong week. The Dow and S&P 500 are both gained more than 1%. Markets were rattled Wednesday after Fed chair Janet Yellen suggested that the central bank could begin hiking interest rates sooner than expected. But worries about central bank policy quickly faded and the market rebounded Thursday. The latest reading on the CNNMoney Fear & Greed index shows investors are getting greedy once more. But the mood isn't quite so perky in Russia, where the stock market and ruble are under pressure after the U.S. announced sanctions against more high-ranking Russian individuals and a bank. Western nations are trying to put pressure on Russia after it annexed Crimea, a region in southern Ukraine. The impact on global markets from the sanctions "will be real but not drastic," according to analysts at political risk consultancy Eurasia Group. The analysts said capital flight from Russia "will likely be extremely high" in the first quarter and the sanctions will "send a chill through the Russian banking sector." But the Americans and Europeans are unlikely to impose on Moscow the kind of crippling sanctions they used against Iran, according to Eurasia. There was little U.S. economic or corporate news on the docket Friday. Before the opening bell, Tiffany (TIF) reported full-year earnings and sales that fell short of forecasts. The stock ended down slightly but had traded higher throughout the day, a move that surprised one trader on StockTwits. "$TIF ... Missed on ER, why is this stock rising," wrote IMMED. 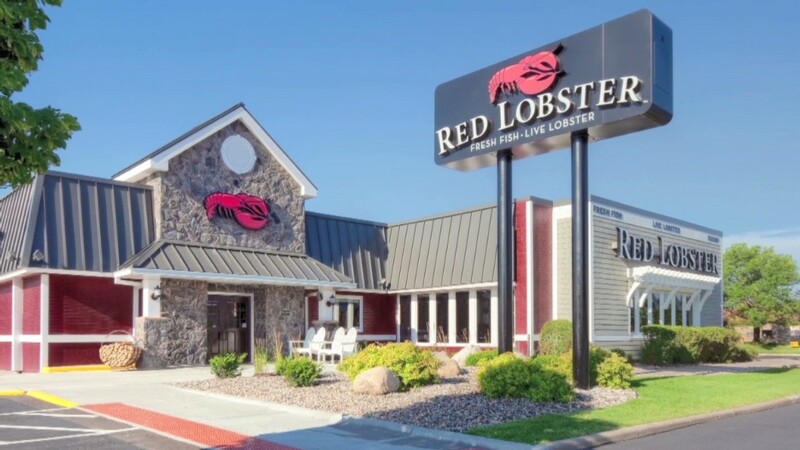 Shares of Darden Restaurants (DRI), the parent company of Red Lobster and Olive Garden, were higher despite poor same-store sales. Nike (NKE) shares slid after the company said earnings could be squeezed over the next few quarters. Some traders said Nike may be facing a tough challenge from rival sports apparel maker Under Armour (UA), which has posted strong growth in the past few years. "$NKE is losing major market share to Under Armour. $UA is the goto brand for the kids. They don't want to wear their parents brand," said NJDad. But others believe there's enough demand for both companies to continue growing. "$UA is up 850% since its IPO. $NKE is up 250% for the same time. Room for growth for both. http://stks.co/s07lI," said ivanhoff. Symantec (SYMC)shares plunged after the company fired its CEO. The stock was the worst performer in CNNMoney's Tech 30 index Friday and is now the biggest loser in the index for the year. Still, a few traders on StockTwits said the market is overreacting. "$SYMC I understand that there is dark clouds over the company but 13% overdone," said madpopoff. European markets ended higher. Asian markets mostly closed with gains. China's yuan fell to a one-year low against the dollar earlier this week as the nation's central bank allows the currency to trade more freely. Investors have also been worried about bankruptcies in China after the nation's first corporate bond default last month.